2012 Our New Year - Our Fate is Here! Many of us interested in subjects considered paranormal have read or taken part in the discussion of the dreaded year 2012. Be it a TV show, radio show, book or article - many , including me , have had a say in what they think will happen this year. Some people out there truly consider the exact date of December 21st 2012 the day the world will see incredible change. Some believe it is the day our world , as we know it, will come to an end. Personally I think that day in December will be like many others before it and I will be madly sorting out gifts, baking, and getting ready for Christmas 2012. I do not think the world will end. I do not think it will much different from this past year of 2011. 2012 may be a difficult year. Recently many years have been filled with major climate disasters , strange climate cycles and natural events all bringing havoc and destruction with them. I think we are in a cycle of time in our history which will bring many major catastrophes that are all due in the nature of things to happen. I think this as many huge world changing events have happened before and will continue to cycle and repeat over and over until the death of this planet. It is the way of things for this planet regardless if we like it or not! Unfortunately we are now living in a period of time when many of these natural events are either due or past due to happen. With that understood it is almost impossible for us to not anticipate we will have to deal with what may come, like it or not! We can whine about it, we can ignore it, we can try to make it a supernatural horror. The fact of the matter is that if we are to live on this planet we have to realize this is the way the earth works and we can either ride the tides of change, or find another planet to live on. The free riding parasites known as man seem to have a big problem accepting these things and become angry when the earth does what it has and always will do . That does not change any of the events due to happen and angry or not the earth will flood, explode, burn or cave in when it wants and where it wants . Humans can kick and scream all they want however they would be much better off preparing and becoming ready for these things in order to ride the wave of what may come so they can survive. In my mind the only mystery about the times we now live in which I call the Era of 2012, is not that we are due for a rough go but that the human race is somehow shocked or surprised it is happening. For a very long time we have known that huge planet changing events were due or past due to happen again. We know that to survive life changing events we need to be aware and prepared. The real mystery to ponder is why we seem more like a deer caught in headlights than intelligent preparing beings ? Why we are not all making ready for what surely may come to me is the true confusion. I look at this New Year with hope and anticipation. It will be a year of excitement and change. We need to understand that life not only carries on , it can at times rage on ! I feel in my soul that this year of 2012 will hit the floor running and the best we can all do is try to keep up with our own boots securely tied and ready to go. 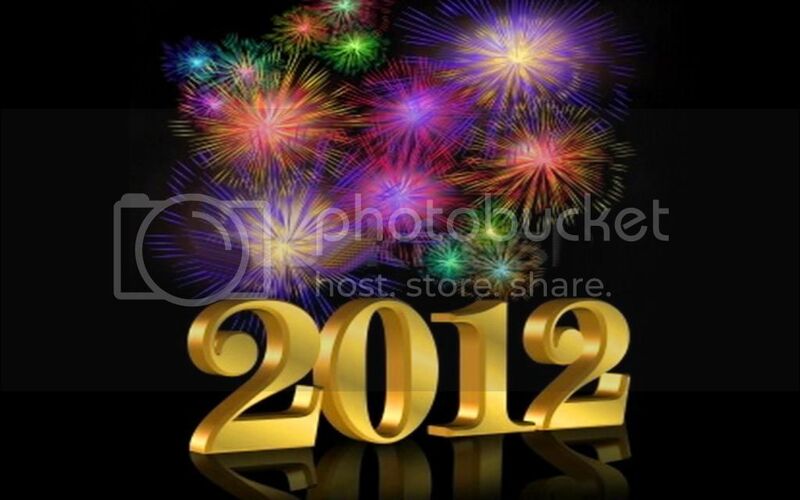 I am sure I will be welcoming 2013 with the same passion I await this new year of 2012. I am sure the world will continue on with the billions of free loading top-siders known as man pushing and shoving their way through another year. I wish each and every one of you a very happy , healthy and safe new year as we speed onward and upward in to 2012. As we enter this new year of 2012 realize that not so long ago life was very different for those who walked before us. My grandparents were born in the late 1890's . This gives a clear light to the facts listed below as a way of life not that far removed from ours in time however light years away in lifestyle. Ninety percent of all U.S. doctors had no college education. Instead, they attended so-called medical schools, many of which were condemned in the press and by the government as "substandard." Crossword puzzles, canned beer, and ice tea had not been invented yet. Two out of every 10 U.S. adults could not read or write. Marijuana, heroin, and morphine were all available over the counter at the local corner drugstores. Back then the pharmacist said, "Heroin clears the complexion, gives buoyancy to the mind, regulates the stomach and bowels, and is, in fact, a perfect guardian of health." Copyright © 2002 JPS/Kitco Inc.